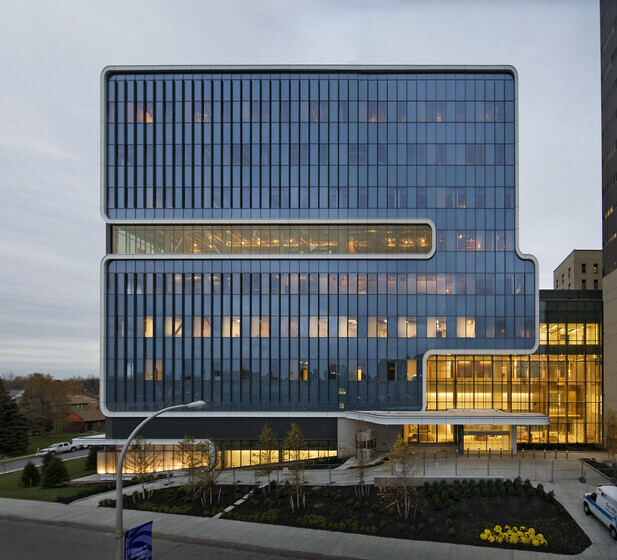 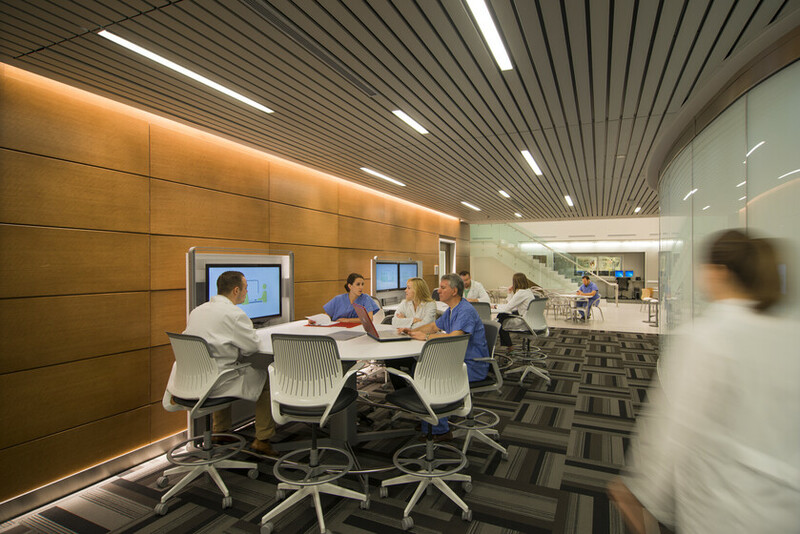 A state of the art teaching hospital at the University of Buffalo combined a public and private center of excellence for vascular health. 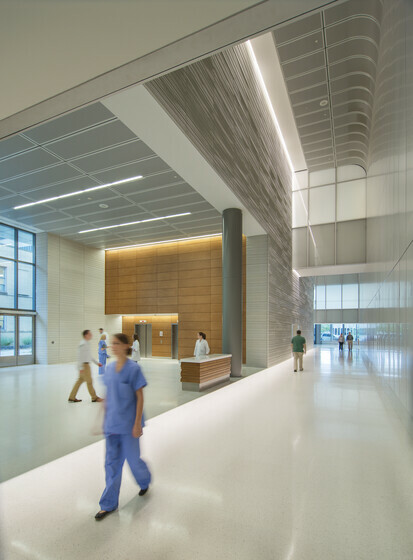 Lighting goals were to support the sleek lines of the architecture with minimalistic lighting that provided visual interest. 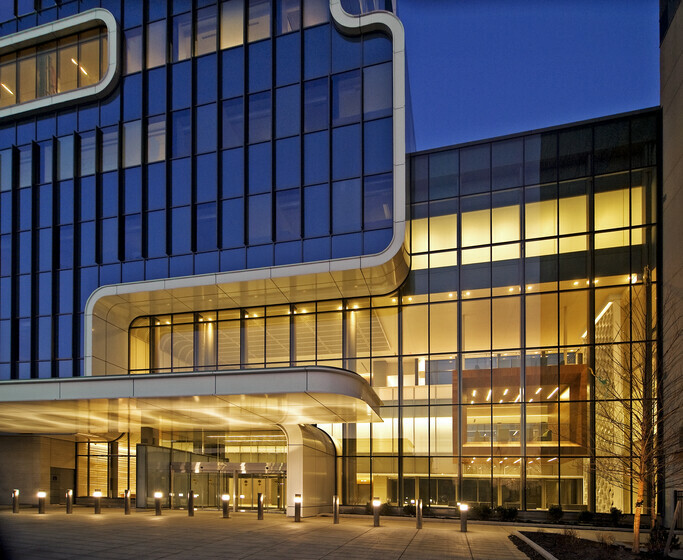 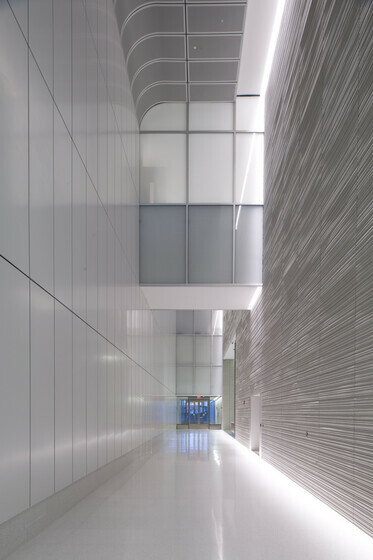 Kaleida GVI had goals to create a high performance, visually stunning space to attract researchers and medical professionals. 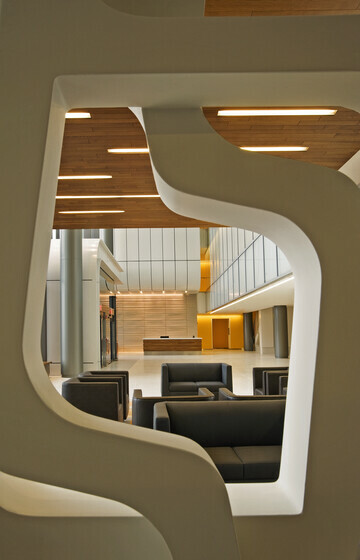 Yazdani Studio used a mix of interesting materials and functionally driven program to achieve this. 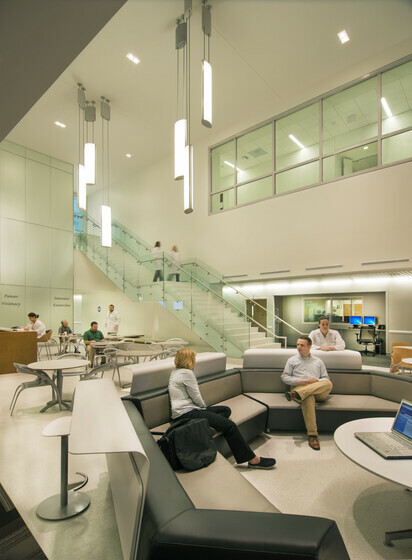 The lighting design team became part of this effort and used light as a material to instill feelings of wellness and vibrancy to spaces that are often occupied 24 hours. 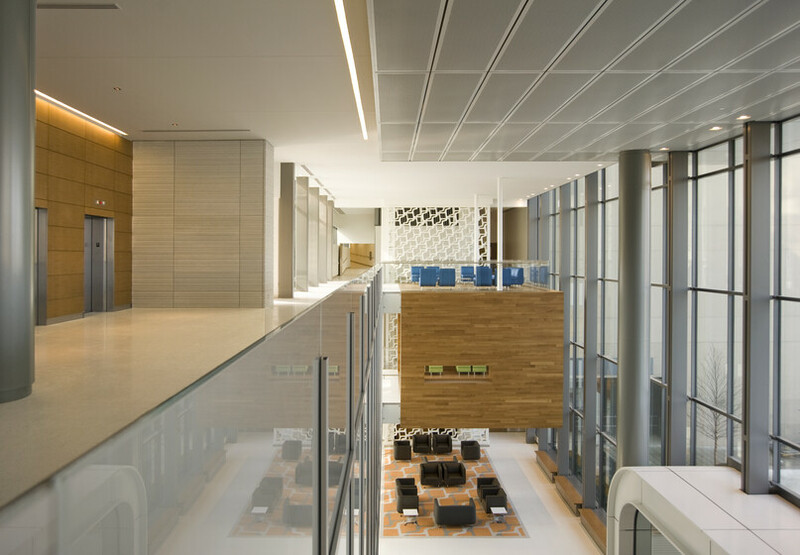 A joint venture with a private medical group and the University, the building sports two double height atriums on floors 1 and 7. 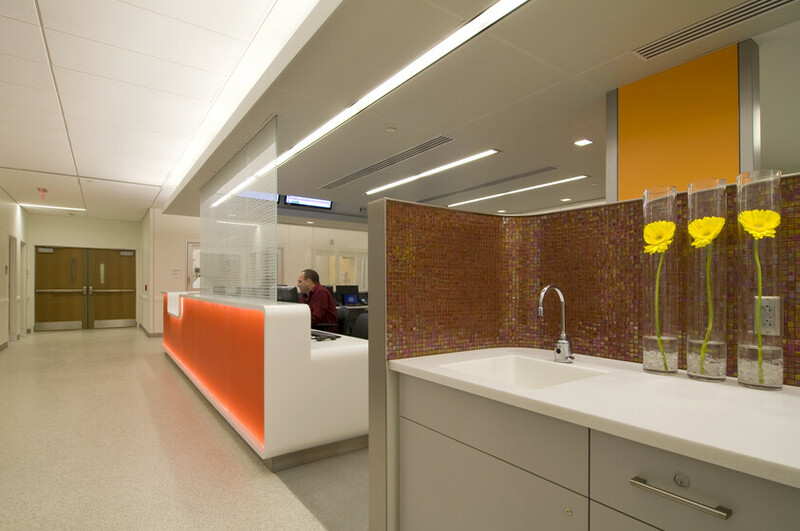 The final product has garnered rave reviews from the owners and patients and was featured in several publications.